Identifies, describes, and analyzes the wide variety of available insurance policies that can respond to a daunting spectrum of intellectual property claims. The publication untangles the several overlapping forms of insurance coverage that are potentially applicable to intellectual property claims. In the context of this marketplace, policyholders run the risk of either buying too much redundant coverage, or of leaving gaps between the coverages purchased. This publication provides much needed assistance to attorneys acting in an advisory role as well in effectively handling intellectual property insurance coverage issues. It features essential information for both the novice and the seasoned insurance coverage attorney, as well as members of the judiciary who encounter complex intellectual property insurance issues, such as cases involving multiple insurers, multiple insureds, or multiple claimants. There is a wide variety of available insurance policies that can respond to a daunting spectrum of intellectual property claims to various extents. Some standard forms are written and marketed by worldwide insurance organizations, some are private forms closely guarded by their authors. The commonly available possibilities are analyzed in this publication. The publication untangles the several overlapping forms of insurance coverage that are potentially applicable to intellectual property claims. In the context of this marketplace, policyholders run the risk of either buying too much redundant coverage, or of leaving gaps between the coverages purchased. This publication provides much needed assistance to attorneys acting in an advisory role as well in effectively handling insurance coverage issues. 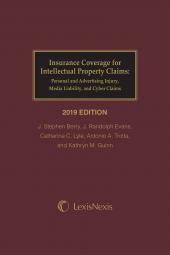 This publication features essential information for both the novice and the seasoned insurance coverage attorney, as well as members of the judiciary who encounter complex intellectual property insurance issues.  Lawyers who handle entertainment law and technology disputes will especially benefit from this publication, as well as those who handle intellectual property issues. Further, this publication will be of use to inventors, researchers, and developers, as well as those who invest in their ideas and the attorneys who represent each of these parties. It will be useful to agents of insurance companies, as well as brokers that help companies buy insurance. 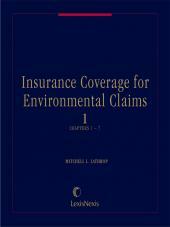 Moreover, this publication will be of substantial use to insurers (both underwriters who develop and sell policies, as well as the claims representatives and managers who must interpret them) and counsellors who represent them as it allows them to stay abreast of the legal rulings that (for good or ill) shape the effect of insurance policies, often well beyond the intent of the underwriters. 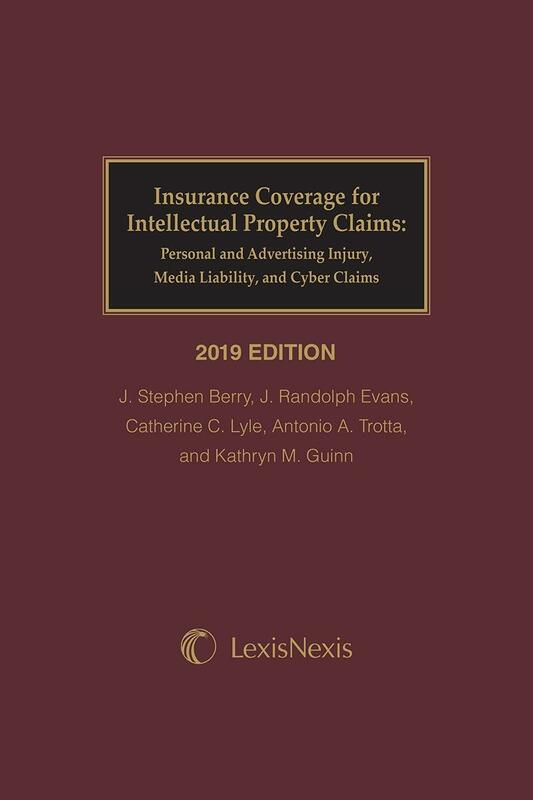 The publication analyzes the requisite elements and available damages for intellectual property claims, personal and advertising injury claims, as well as cyber liability claims. Moreover, the inclusion of a full chapter on "cyber" coverage addresses old and new protections for rapidly increasing risks involving electronic data; this chapter will be of particular use to lawyers and executives who help companies in the healthcare, financial, entertainment, communications, and technological industries. Stephen Berry leads the insurance coverage and bad faith team in the Atlanta office of Dentons US. His practice focuses on general liability, IP/media, personal and advertising injury, and construction defect claims. Licensed in Georgia and Louisiana, Mr. Berry's insurance practice is nationwide; he has litigated coverage and bad faith issues in numerous jurisdictions from coast to coast (including every southeastern state) and frequently advises insurer clients on nationwide coverage developments and helps them take strategic approaches to multi-state disputes. His practice includes litigation, coverage advice, regulatory investigations, appellate and amicus briefing, and policy drafting. Mr. Berry is the author of Georgia Property and Liability Insurance Law (5th Ed.) 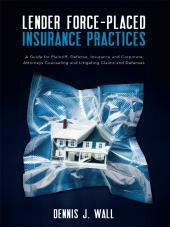 and Appraisal in Property Damage Insurance Disputes; and numerous articles on insurance coverage and bad faith issues. He frequently speaks on insurance law to attorneys, claim representatives, in-house counsel, judges, and insurer professional training organizations. Mr. Berry is an AV-rated attorney, and has been listed in The Best Lawyers in America (in the practice area of Insurance Law) every year since 2007, as well as Georgia Super Lawyers (category of Insurance Coverage) every year since 2011. Further, Mr. Berry sits on the Coverage sub-committee of Claims and Litigation Management ("CLM") and recently became the youngest person ever elected to membership in the American College of Coverage and Extracontractual Counsel ("ACCEC"). In addition, Mr. Berry and his teammates were named by the Daily Report as the "Litigation Practice Group of the Year" in 2013. His full bio can be found at http://www.dentons.com/en/stephen-berry. Randy Evans is the chair of the Financial Institutions practice at Dentons US LLP. He handles high profile, complex litigation matters in state and federal courts throughout the United States for some of the largest companies in the world. In addition, Randy has served as General Counsel of the Georgia Republican Party, served as outside counsel to the Speakers of the 104th-109th Congresses of the United States; and represented former Speakers of the United States House of Representatives, Dennis Hastert and Newt Gingrich. Randy is a frequent lecturer on the subjects of professional liability and government ethics, and is author of numerous publications, including Georgia Legal Malpractice Law (ALM, 2011). Catherine Lyle is an attorney within Swiss Re's Corporate Solutions Claims Department. Ms. Lyle's work focuses on claims, litigation and class actions arising out of Professional Liability policies for technology, media, and telecommunication companies as well as cyber liability policies for non-technology companies. Ms. Lyle is the leader of Swiss Re's Cyber Expert Network Group which is a global team of professionals who have experience with cyber events in markets most significant to Swiss Re and clients of Swiss Re. Ms. Lyle is the author of numerous articles and white papers on various legal and coverage topics including: Minimum Security - Don't count on CGL to cover cyber claims, IAMAGAZINE, June 2015, p. 19-20. Prior to working for Swiss Re, Ms. Lyle was an attorney for General Electric as well as an Assistant Attorney General for The Commonwealth of Massachusetts. Tony Trotta is a Senior Claim Counsel with CNA Specialty in Radnor, PA. He is the senior claim representative within the CNA Specialty claim unit for E&O/Technology and Media claims. Prior to CNA, Tony worked in private practice years as an insurance coverage, business dispute and securities litigation attorney. Tony is a graduate of the University of Maryland and New York Law School, where he served as an editor of the New York Law School Law Review. Antonio has authored several articles for the Fidelity Law Journal, and speaks frequently on negotiation strategy; privacy law, data breach prevention, mitigation and remediation. Katy Guinn is a member of the insurance coverage and bad faith team in the Atlanta office of Dentons US. Ms. Guinn has experience in complex multi-million dollar financial services and insurance coverage litigation in Georgia, Alabama, Tennessee, Texas, Louisiana, Mississippi, and South Carolina, including STOLI litigation, bad faith and insurance coverage litigation, intellectual property coverage litigation, and fraud causes of action. Ms. Guinn has also worked on a number of construction matters, both based in insurance coverage and in general claims, in Alabama and Tennessee, and has been involved in state procurement litigation in Georgia. Prior to joining Dentons, Ms. Guinn practiced insurance law for a large, statewide law firm in Alabama, where she handled insurance matters in Alabama federal and state courts.